“Finally!” you think, “A cheap 3D printer I don’t have to build myself.” Yes, you’re probably already doing the calculations in your head. For a mere $3.5 million US dollars you can buy 1,000 of these suckers and build a tower of 3D printing power the likes no one hAS EVER SEEN!! muwwahhHAHA!! 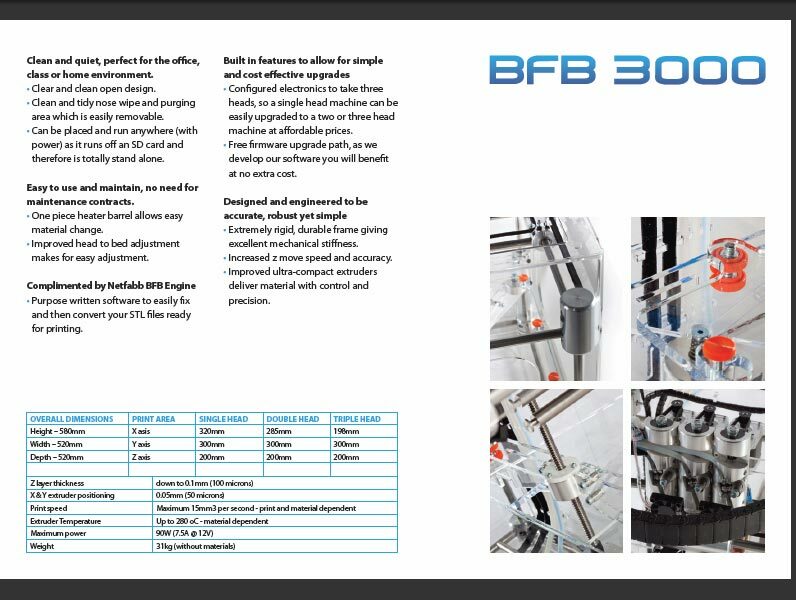 All you need is $3.5 mil and a finger to hit the buy button at Bits From Bytes for their new fully-assembled, plastruding plastruder, the BFB 3000. It’s got a slick acrylic exterior and everything you need to get started importing .STL’s and printing your design or exact duplicate of yourself. But little ol’ BFB is in a hot market that print powerhouse HP has recently entered with Stratasys to create the Designjet 3D printer. How do they compare? You might be surprised. 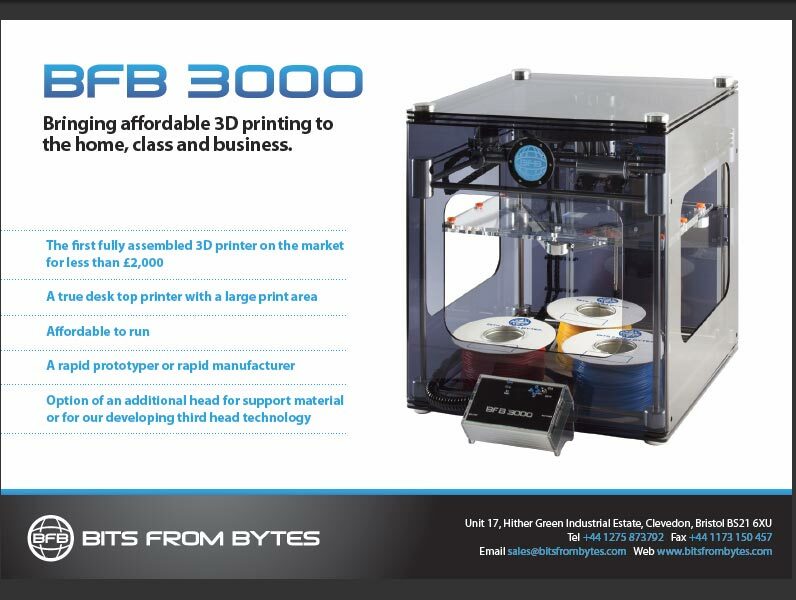 The BFB 3000 jumps in the market at £1,995.00 (USD $3034). With the Stratasys HP Designjet 3D printer also coming out last week, you now have two new desktop options. However, for the £11,050 (USD $17,000) pricetag on the HP Designjet you could pick up five of the BFB 3000 printers. The print area on the Designjet is smaller at 203 x 152 x 152 mm than the 320 x 300 x 200 mm on the BFB 3000. The BFB also weights 28kg less at 31 kg (68 lbs). 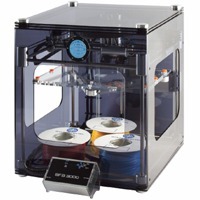 The BFB 3000 comes with 1 print head and can use up to three for multiple colors. The HP Designjet has a single printhead, but a color version is available that can print up to 8 colors. Both use ABS Plastic, but the HP Designjet prints a 0.25 mm layer and the BFB 3000 prints a mere 0.10 mm layer thickness. Now, a thinner print layer may not necessarily mean better quality, but for the money, yeah, I’d try the BFB 3000 first.